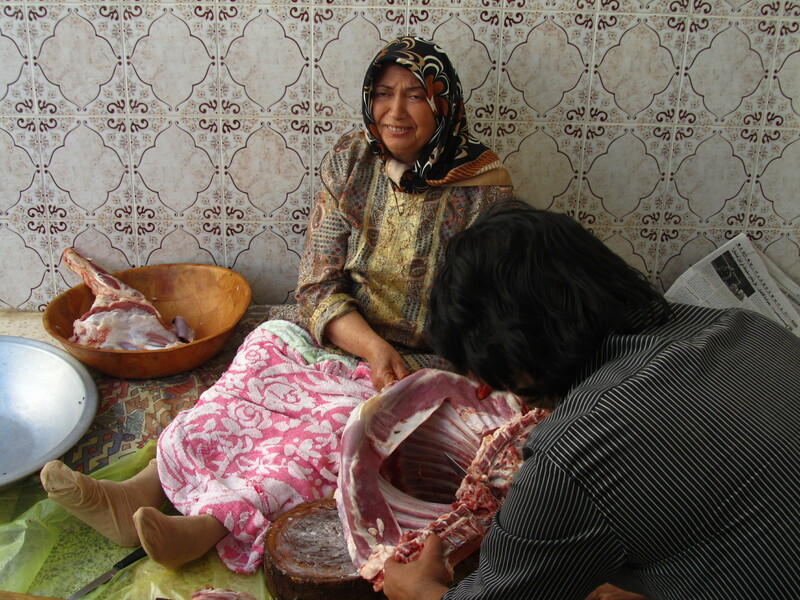 Eid al-Adha (Festival of the Sacrifice) is among the most significant religious observances of Islam. It is a several day performance imbued with intense symbolic forces, representing God’s test of Abraham to sacrifice his son Isaac. The sacrifice is held to conclude the time of Hajj (The pilgrimage to Mecca), during the Islamic month of Dhu al-Hijjah. Those who make the Hajj are called Hajji. The Hajj is the final of the Five Pillars of Islam, which also includes Shahadah: the recitation of faith in monotheism; Salat: performing ritual prayer five times a day; Zakat: giving charity to the poor and needy; and Sawm: fasting during Ramadan. According to Islamic practice, every able-bodied Muslim man and woman is obliged to make the pilgrimage to Mecca at least once in their lifetime if he or she can afford it. However, some have begun to point out that it has become over-commercialized, Hajj packages being advertised the way luxury holidays may be presented in glossy high end magazines. Outside of advertisements and articles, the Hajj is almost as mysterious to Western audiences as it is holy to Muslims. In an article earlier this year, The Places In Between, modern travel writer Paul Theroux notes that the pilgrimage was perhaps first made more aware to Western audiences by famed British explorer Sir Richard Burton, who had himself circumcised, learned Arabic, and posed as Afghan dervish Mirza Abdullah to make the holy journey in 1853. He published an account of his experiences in a three volume series Personal Narrative of a Pilgrimage to Al-Madinah and Meccah. The last non-Muslim to reportedly make the Hajj was Arthur John Wavell who made the trip in 1908-1909 and later published his A Modern Pilgrim in Mecca in 1912. The Hajj concludes with the Stoning of the Devil, Ramy al-Jamarat, where Hajji hurl pebbles at three walls in the city of Mina, east of Mecca. The ritual derives its signification from the Biblical and Quranic story that on his way to sacrifice his son, Abraham was confronted by the Devil three times and three times Abraham was commanded by the angel Gabriel to ‘stone him.’ On the third and final confrontation the Devil withdrew. It is performed to signify the adherents’ defiance of the Devil, and to signify the repudiation of one’s own devils. Ramy al-Jamarat is generally only performed by those on the Hajj. Ramy al-Jamarat is followed by the Sacrifice, which lasts for three days and marks the conclusion of the Hajj. 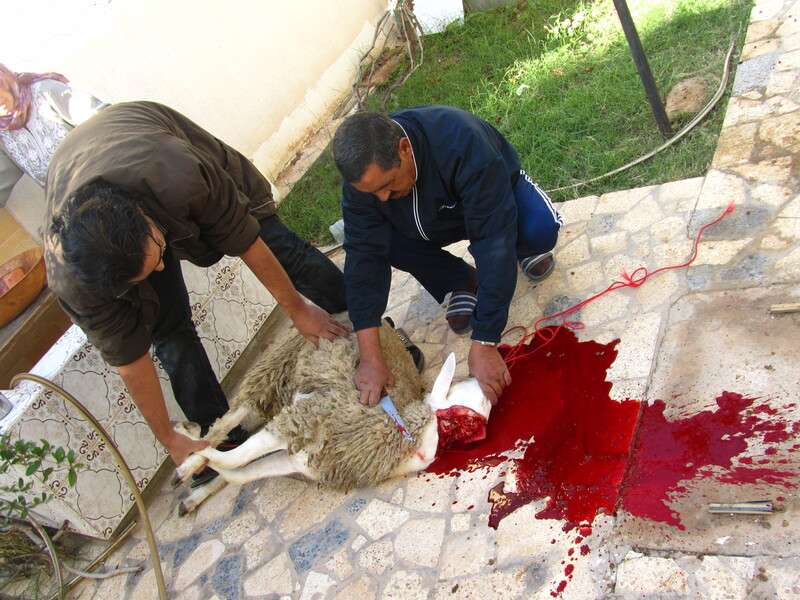 Eid al-Adha, is performed by all Muslims, who can afford the practice, across the globe. The Guardian has a photo series of Eid being practiced around the world. 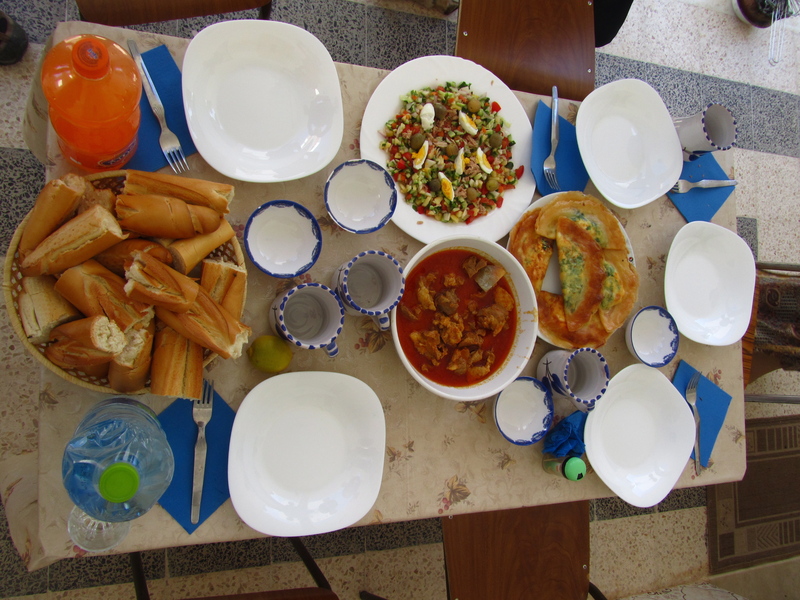 I traveled to Gabes, in Southern Tunisia, to observe the holiday with a Tunisian friend of mine and his family. 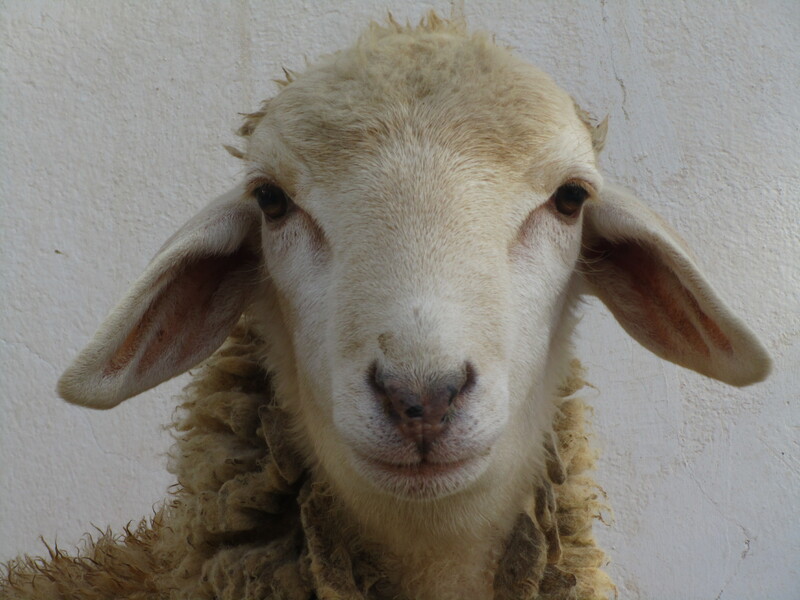 During the last few weeks leading to Eid the streets of Tunis were transformed into a veritable menagerie of bleating, wooly creatures. Corners were converted to sheep pens, hey strewn across asphalt, fluff and horns, children playing, tugging, parents bartering, buying. 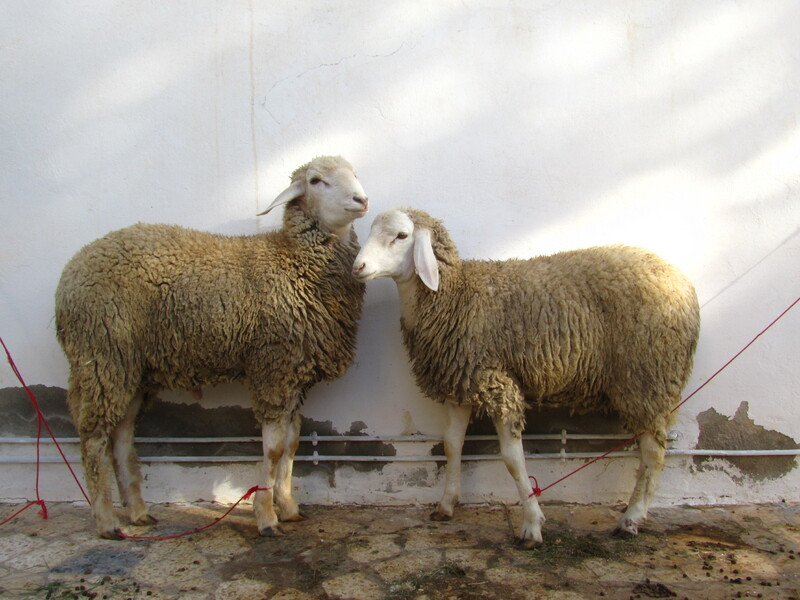 Many times I witnessed sheep being pulled by red leashes down the narrow alleyways wrapping around my Bab Souika home, the bleating cries of unwilling and unsuspecting sheep echoing up through my open window. This year Tunisians complained about soaring prices. 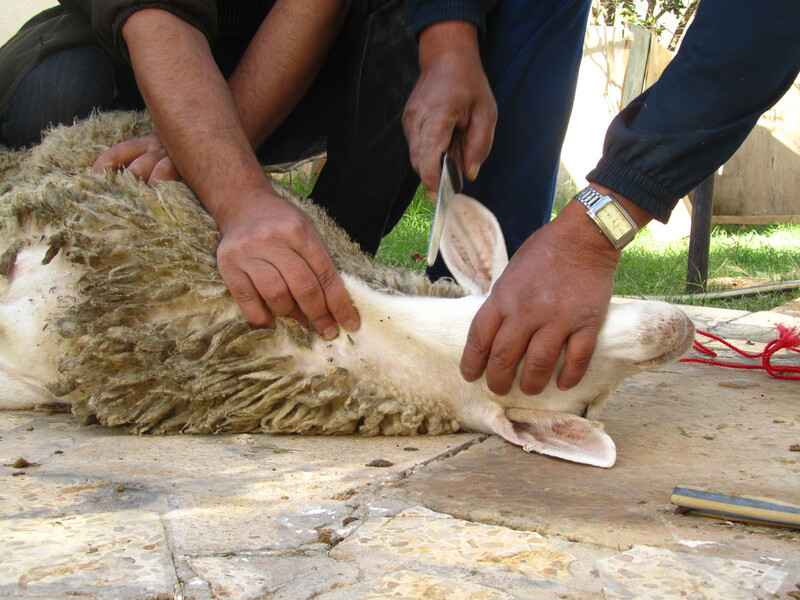 According to a survey held by the National Institute of Consumption 49% of Tunisians buy their sheep with available money from their salaries, 55% of them are obliged to borrow money, 19% resorted to saving, 4% buy the sheep by installment, and 9% supply themselves. 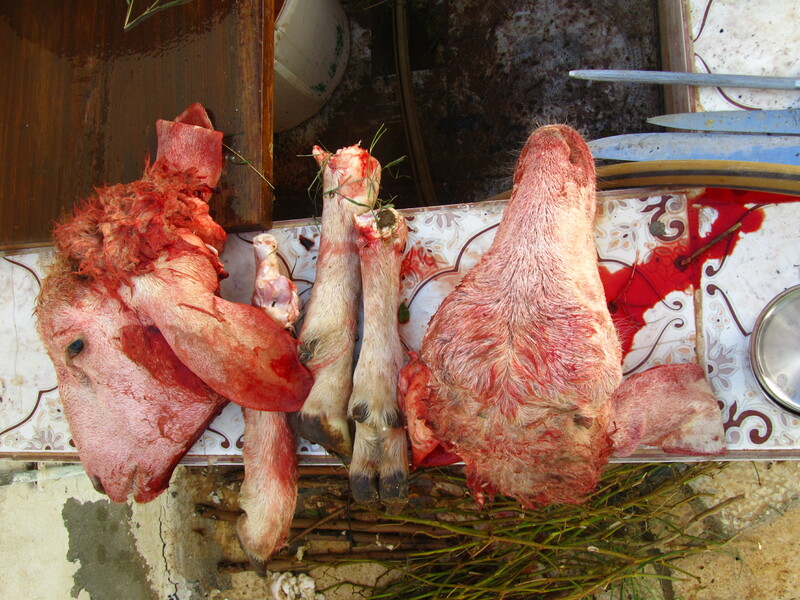 According to an article in Tunisia Live, rising sheep prices are often blamed on greedy middle men trying to increase their profit. 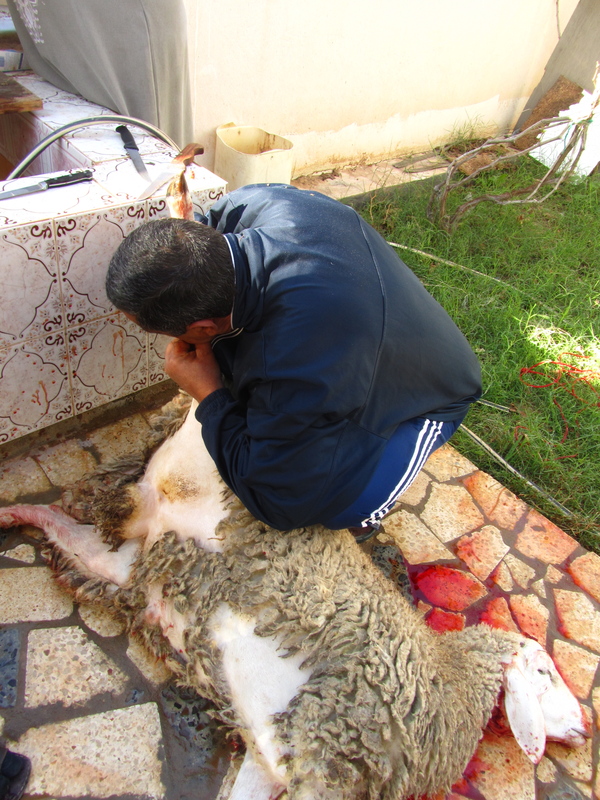 While at the height of the conflict in neighboring Libya, sheep were imported and sold cheaply, and despite the fact that sheep production was up by 15% this year, the price is now far higher in both Libyan and Tunisian markets. 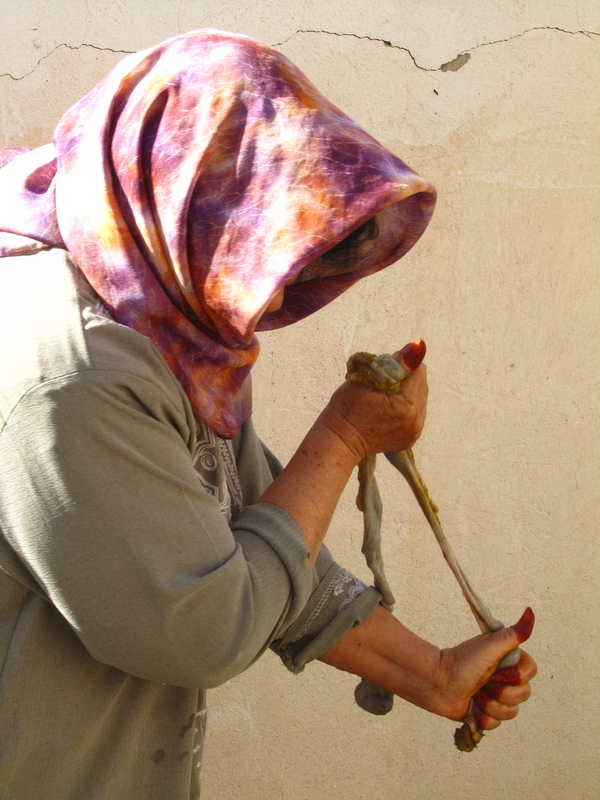 A second article relates one man’s account, “I can’t afford such prices…we need the government’s intervention to lower them so we can feed our children.” The sheep for my celebration in Gabes were purchased for 350 dinar (about 175 euro) a piece. We woke early on the day of the festival. Wajdi and his father picked us up on their way back from making the morning prayer. We crossed the distances of this town, with its frontier emotional lines carved into the psychogeographic and architectural edifices and structures, dusty corners, errant piles of refuse, meandering youths, chipped paint and unfinished building projects; in Gabes there are few open shops after dark. We crossed from street corners with the names of ancient scholars and military leaders, waited at stop lights with others eager to demonstrate their piety and feast. We sat in the back seat. In the early morning desert-cold sunlight without the salvation of coffee pulsing through my veins the passing topography morphed into deep poetic sentiments paralleled only by the knowledge of what the day would yet present. 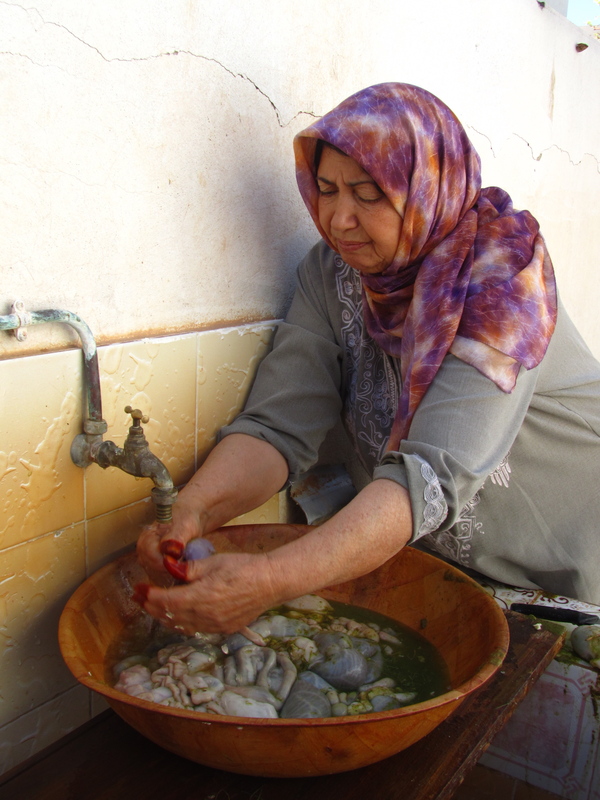 We turned off a paved street onto the uneven dirt and callused surface of unfinished country roads, with tufts of grass protruding from the monochrome of earth, the pallid faces of houses hued with the vibrant Tunisian blues on shutters and door frames. We passed a few remaining sheep, confused, calling to their friends in yards, gardens, and tiled rooms. We passed a burnt out, looted, red and stocky skeleton of a creature that might once have been a Volkswagen. A couple boys scrambled through the yards. A few women walked back from a shop. A man might have been grinning from his balcony. We parked in front of a walled home and entered past a massive lemon tree. Grabbing a few bright, young leaves on the way by our host handed us small crumbled, scented nests of citrus leaves to dab our necks, noses, and senses. Little time was wasted. The prayers had already been made. We were told that the one who cuts the throat must be the one who makes the prayer, the main prayer for the family. The father’s traditional role. The mother seldom takes this role, we were told. The incision was made. 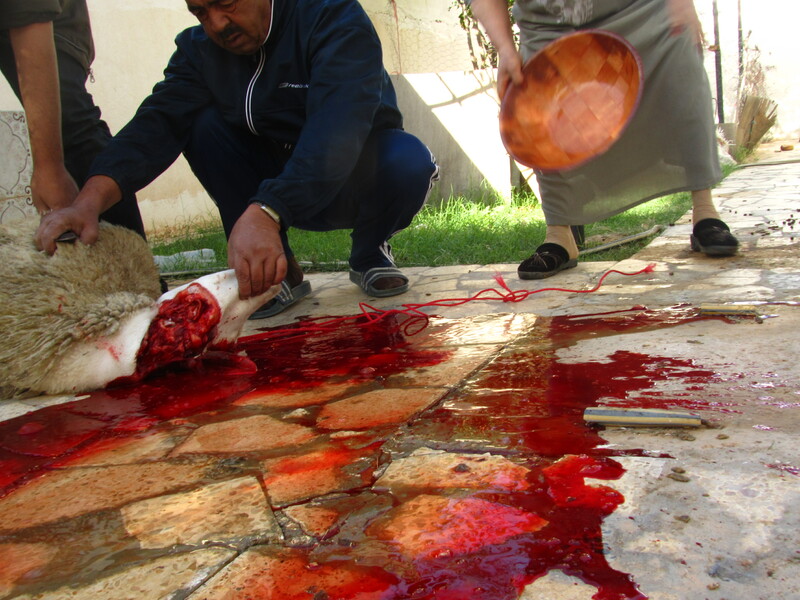 The crimson spilled onto the pavement; the sacrifice was made, piety ensured, practice maintained, to strip the animal of its objects of distinction and usher the metamorphosis of living, breathing flesh and blood into morsel of stewed meat and remembrance of mercy. 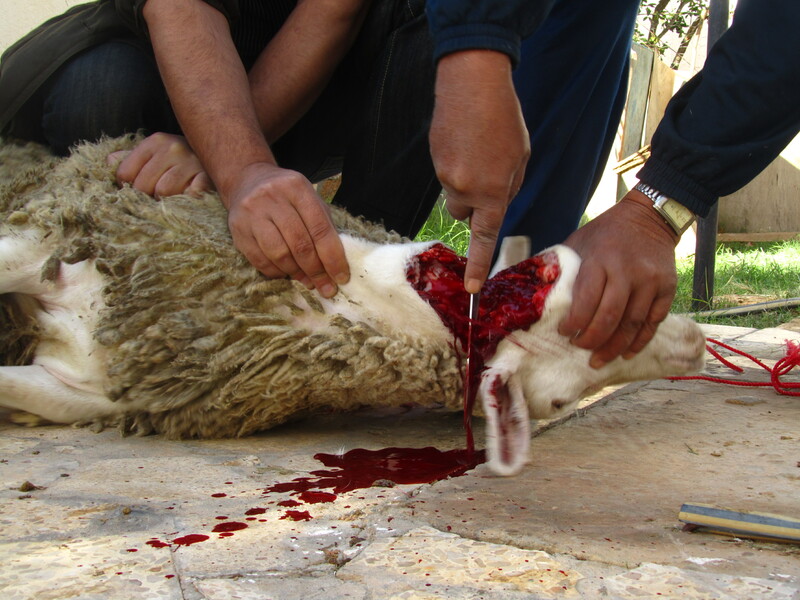 Only male sheep, and other animals, are used for the sacrifice. One might assume the reason owes to the symbolization of Abraham preparing to sacrifice his son, and then a ram instead, the male, the promotion of the family line. But when I asked Sami why only male animals were used his answer was different. Not because of the above hypothesis but because, “The male is better in animals, like in humans. The female is not as good. But also, you can kill hundreds of male sheep and if you leave the female alive you will have more sheep the next year. However, if you kill female sheep who will have new sheep?” The meanings behind the male sacrifice are multifaceted and beyond the scope of this rambling entry. One might prepare a deep philosophical and historical investigation of the sacrifice. In some customs it is the female virgin which represents the paragon of sacrificial substance while in others it is the male. Throughout history the virgin sacrifice presents a strange conception of purity. What gendered predilections for the object of sacrifice have to reveal about a cultural or religious performance presents an interesting direction for further study. An incision is made and the animal is inflated like a balloon. This makes removing the pelt from the tissue easier. The internal organs are pulled out and hallowed, washed, and prepared. The heads and feet are torched to burn off the hair. The animal is carved and hacked into pieces. The offal is salted and hung to dry. The offal is salted? Never heard, but seem delicious. I applaud your openness and your research, even if you missed a few details! and always remember that God is Merceful. and the choice of male sheep I think it was to mark the divine prohibition of human sacrifice and to thank God for having created these animals to feed us and give us their wool and all ..
the choice of the male sheep is linked to the symbolism of power and wealth sacrificed to please Allah (GOD in arabic), I think it’s cultural and it is common sense to preserve the divine livestock too! and we must always remember that the sacrifice is an act of faith, not just to eat meat. In any case, I was happy to welcome you at home and will be happy to invite you again inshallah next time to discover another aspect of our lives! for the preparation of the intestines and dried meat, you might need professional help LOL but the idea is to dry the meat and the rest in the open air, preferably in the shade and not the night so it is not affected by moisture after mixing everything in a mixture of salt and spices and red pepper and other spices with olive oil.. dried after some days, it is prepared in a frying oil after a little cleaning of dust and too much salt.. then store it in a jar or other vacuum, well isolated from the air.. and good appetite ! Thank you for pointing out these details. We see rarely theses details..Excellent !! There are a couple solutions that can be taken to counteract the harmful consequences deforestation produces. produce demonic offspring that they hoped would eventually be the demise of the world. Also current news from the Reform Party in Syria reports, from Dara’a the following, “There are reports that over 100 peaceful demonstrators have been killed in Dara’a on Wednesday, with many more injured.